Gymnastics in riding is very helpful when it comes to jumping your horse. It not only helps develop your horses muscles, but also help the rider to better understand and play around with striding. 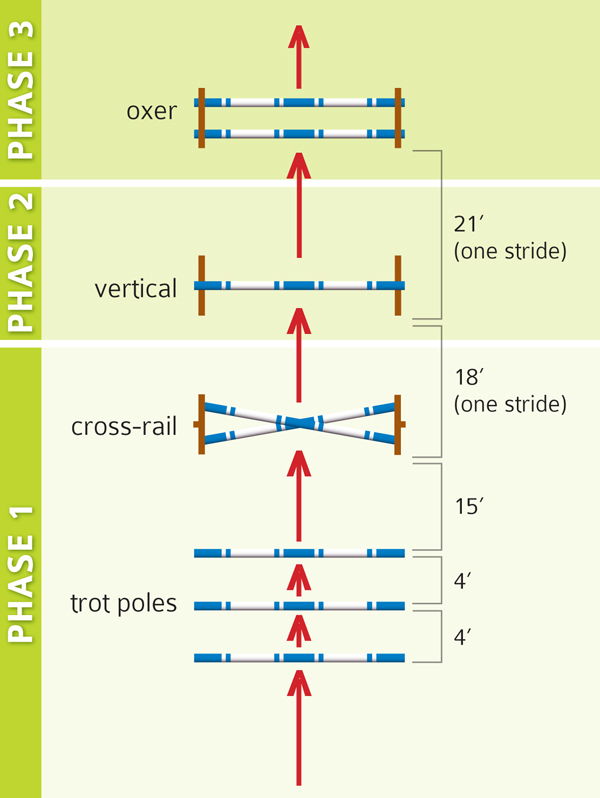 Generally, there are 3 phases, which include trot poles, cross pole, vertical and an oxer. This gives you a variety to work with and better understand the feel over the jumps. You mostly start with trotting over the trot poles, however, there are some who prefer to just canter straight towards the cross pole. It depends on your riding and training. I personally need to work on this a lot! It is a good exercise to do at least once a week, even if it is only poles on the ground.